Large, complex reports often result from lengthy processes of research, consultation and review, so its not uncommon for the recommendations that emerge to be disconnected from the background, evidence and analysis on which theyre based. 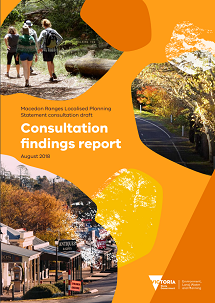 We were engaged to write recommendations for the report in simple English and to rewrite and reorganise the draft report content to provide a clear line of sight to each recommendation. This iterative process involved ongoing consultation with the Ministerial Advisory Committee and our clients at DELWP. The rewriting and restructuring were extensive, so we provided short rewritten and restructured segments of the report at various stages to ensure our approach caused no surprises. 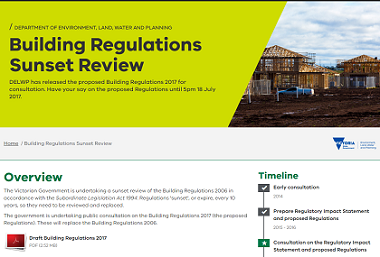 Our involvement with this project started with rewriting, editing and proofreading of the Localised Planning Statement Consultation Draft. After the consultations, we worked with the project team to restructure, rewrite, edit and proofread the consultation findings report, to maximise readability and the consistency of response reporting. With some 40 years experience developing and implementing research and evidence collection programs for publications, we can advise on how to maximise research efficiency: maximising the proportion of research evidence collected to evidence reported. This means lower costs, shorter timelines, better productivity, less stress and more return on your research dollar. 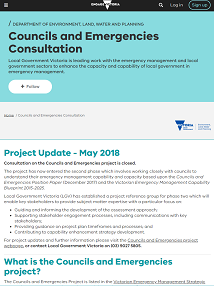 Our involvement with the Councils and Emergencies Project began in 2016 with the restructuring and editing of the Councils and emergencies directions paper, which laid the basis for an extensive consultation process to define councils current emergency management responsibilities and actions. It continued with restructuring, rewriting and editing of the report of the consultation process — the Councils and emergencies consultation report — and then of the position paper — the Councils and emergencies position paper — that resulted from the consultation process. We also provided advice to make the graphics and the tabular layout of the responsibilities and actions clear and easy to understand. Consulting with stakeholders is an integral part of developing and implementing policy, and some consultation processes can continue for years. The to-and-fro of consultations aims to resolve complex questions. Its essential to express ideas clearly and in a logical sequence, to avoid misunderstanding and build trust and a sense of common purpose. As writers and editors, early involvement in a consultation process gives us many opportunities to clarify what the client is aiming to communicate and to structure their information to make it as easy as possible for stakeholders to understand and respond to. The Victorian Government has a new strategy to get more people cycling to work, school and around their local neighbourhood. 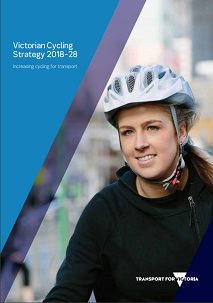 The strategys key message is simple: the Victorian Government intends to increase the number, frequency and diversity of Victorians cycling for transport by investing in a safer, lower-stress, better-connected network, prioritising strategic cycling corridors; and by making cycling a more-inclusive experience. We worked with the Active Transport Victoria team developing the strategy to make this key message and its components clear and to restructure the draft text around them. We organised the background and evidence for each component and ensured the strategic proposal for each component was clearly based on the background and evidence. Then we rewrote the draft text in a crisp, economical and consistent style. The result is a straightforward, easy-to-read plan for cycling for transport through to 2028. Services provided: structured, readable and polished editing; proofreading. As Victorias population has grown, demand for water by communities, farms and industry has steadily increased. To recognise and protect the environments right to water, the Water Act 1989 gives the Victorian Environmental Water Holder responsibility for managing environmental water entitlements: the legal rights to access a share of water to improve the environmental values and health of Victorias rivers, wetlands and floodplains, and the plants and animals that rely on them. 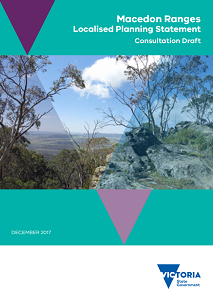 Reflections is the VEWHs yearly report on environmental watering: what it is, how it benefits the environment and communities, and what happened during the year. For the second year, we rewrote, edited and proofread the drafts of this interesting, informative and beautifully photographed annual review. Services provided: polished editing; proofreading; review of page proofs. 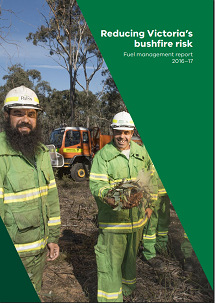 Forest Fire Management Victoria report annually — by region and for Victoria — about the achievements of its fuel management program. Fuel management can be a contentious activity and we're delighted to help make the intended outcomes of fuel management activities, and the metrics and narrative that report on achievements, clear and understandable to the public. This is the third year we've edited this report. In previous years, we restructured the report format to more clearly explain the metrics and what was achieved for the year and hyperlinked background information to data and narrative about the year's achievements. This year, as well as editing and rewriting contributions, we also made extensive use of hyperlinks to relevant Acts, policy statements, key concepts and strategies so readers have the whole story on their screen, at their fingertips. Services provided: writing; structured, readable and polished editing; proofreading. Rain for most people means breaking out a brolly. But getting the right amount of water — not too much and not too little — is essential for the health of Victoria's rivers, lakes and wetlands, and for native plants and animals that rely on them for food and habitat. 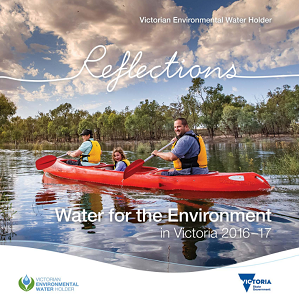 Our client, the Victorian Environmental Water Holder, works with public land managers, waterway and storage managers, local communities, traditional owners and scientists so the environment gets its fair share of the available water. 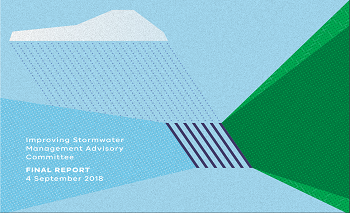 Its Seasonal Watering Plan 2017-18, which we edited, sets out the environmental watering that will occur under drought, dry, average and wet conditions across Victoria's river systems. Big (192 page) plans like this are usually produced as separate documents by different authors. So, first we bring them together, standardise the styles and remove style irregularities. This saves the graphic artist going mad working out what's text, what's headings and what's something else. Then there's the word-by-word, careful reading from start to finish to improve the writing where necessary and fix errors, mistakes, unintended duplication and inconsistencies. Finally, we just had to escape to the Thomson River valley to see Victoria's natural beauty for ourselves! 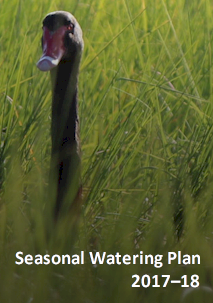 We also edited the seasonal watering plans for 2016-17 and 2015-16. Services provided: structured, readable and polished editing; proofreading; review of page proofs. A historic day of firsts for Victoria: watch it here on YouTube. The first Wurundjeri people to address the parliament, with addresses made in English and Woi-wurrung language. The first Victorian Actto use traditional owners' language in the title. The first Australian Act to designate a river and its public land as one living, integrated, natural entity for protection and improvement. As The Conversation said, "The Act is remarkable because it combines traditional owner knowledge with modern river management expertise, and treats the Yarra as one integrated living natural entity to be protected." 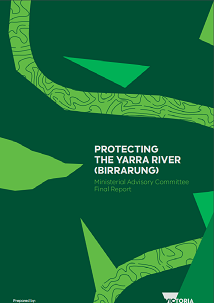 We're proud to have supported the consultation process that resulted in the Act with editing and proofreading of the Protecting the Yarra River (Birrarung) discussion paper and the Ministerial Advisory Committee final report. Services provided: readable and polished editing, proofreading. Regulatory impact statements are complex documents: this one was 150,000 words, in three parts and written by three organisations. First, we cleaned up heading and text styles to reveal the contents structure and find our way about. Although time was short, we managed a polished edit of the whole RIS to fix style and grammar errors, and we fixed more substantial errors as we spotted them. We also wrote an overview to the RIS, the consultation website text, a submission form and fact sheets for use during consultations. 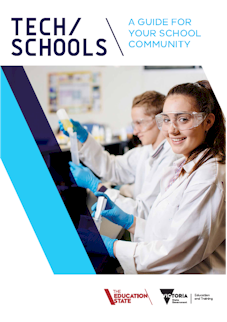 The Victorian Governments $125 million Tech School initiative aimed to establish 10 leading-edge tech schools that would bring together schools, TAFEs, universities and industry to connect students with their futures. We developed draft principles explaining the initiative, its aims and how parties would work together to implement it. We consulted the draft principles with stakeholders and finalised the draft in the form of a vision statement for the initiative. The principles were used in internal processes prior to launching the initiative, and as the basis for Tech schools: a guide for your school and community. Services provided: research, writing, readable and polished editing, proofreading. 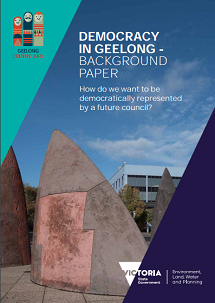 After the Victorian Parliament dismissed the Greater Geelong City Council in April 2016, there was a concerted effort to consult with the community about a new electoral structure for the city. This meant clarifying and explaining to the community the various electoral options and the interactions between them. We edited, restructured and developed infographics for this background paper, to support the consultation process. 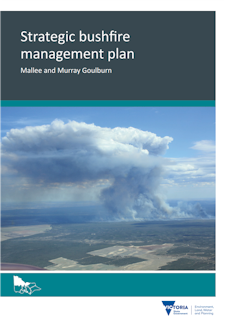 Teams in three of Victoria's bushfire risk landscapes had done extensive technical investigation and consultation to develop bushfire risk management plans, including fuel management strategies, for their landscapes. We wrote a template for the first plan, and rules to use it, to ensure statewide consistency while allowing for each landscapes unique circumstances. We worked with each team to help them use the template and rules to prepare a plan for their landscape. We then updated the template and worked with teams from the remaining four landscapes to develop their plans. As a result, all seven plans are broadly consistent and feedback is that readers find them easy to understand, interesting and informative. Services provided: research; writing; structured, readable and polished editing; proofreading.